DESIGNED FOR PEOPLE WHO MANAGE OTHER PEOPLE. 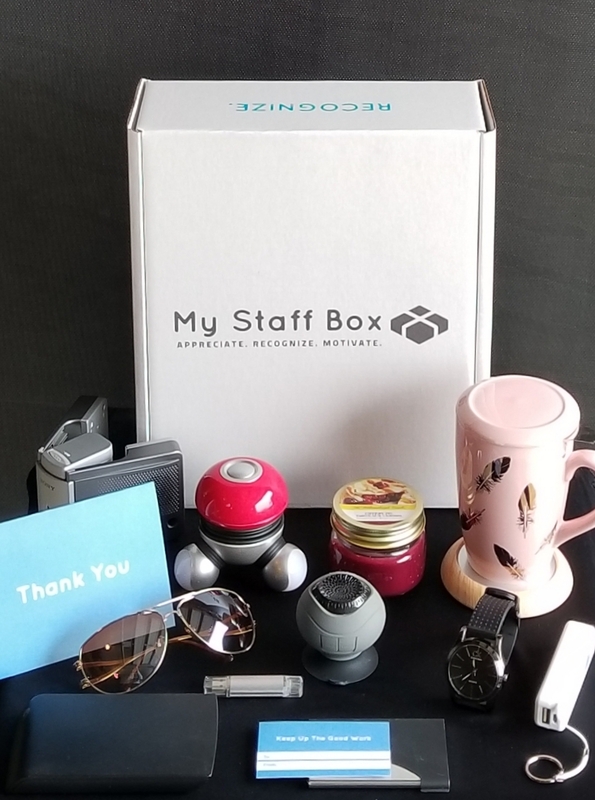 We make appreciating and recognizing employees on your team simple by shipping you a box filled with trendy new products on a regular basis. Welcome to my staff box! a subscription Box service designed for people who manage other people. 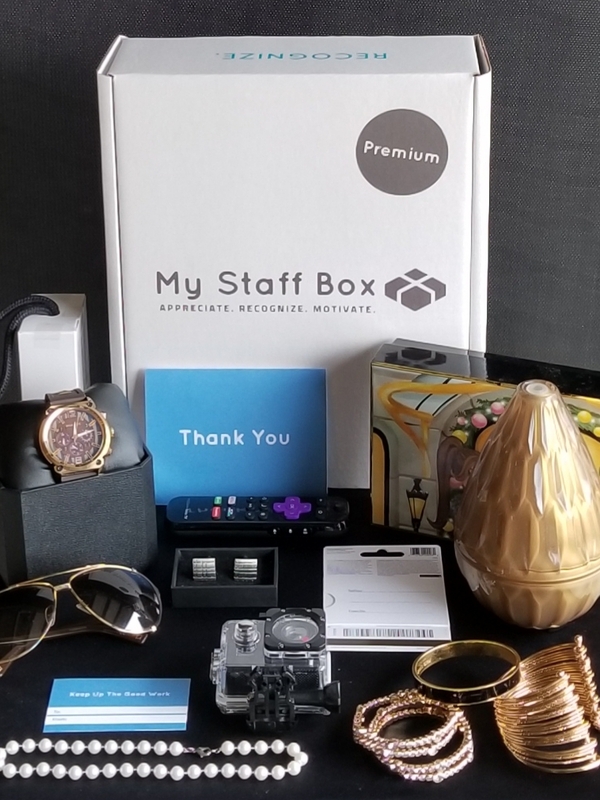 My Staff Box is filled with trendy new products and provides tips to show employees how much they are valued for their hard work and accomplishments. Our subscription box is built for managers to ensure they remain consistent when acknowledging individuals or teams within their workplace. We make appreciating and recognizing employees simple by equipping managers with tools they can use on a regular basis to motivate the key people driving their organization. Choose a box type and at checkout decide how often you want to receive it. Tell us some information about your employees so we can do our best to customize your box. Sit back, wait for your box to arrive and find a suitable time to acknowledge your employees. Quarterly in March, June, September, and December or Bi-annually in June and December. Ask us about our referral program and save money. $1 from each box shipped will be donated to The Princess Margaret Cancer Foundation! Turn your subscription off whenever you want and restart it anytime. "Finally a subscription box designed for people like me." "I wish this was around years ago." "My employees were so appreciative!" We find the latest trendy products, so you don't have to!